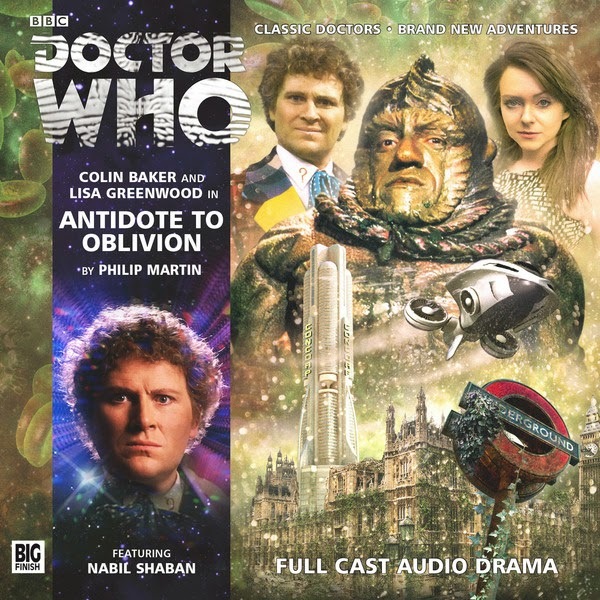 Doctor Who: Big Finish - ANTIDOTE TO OBLIVION Review | Warped Factor - Words in the Key of Geek. Future Britain is bankrupt, its corporate owners facing financial ruin. Fortunately, the Universal Monetary Fund, and its slimy representative Sil, are willing to give its President a multi-billion credit bail-out… but terms and conditions apply, and Sil’s proposed austerity measures go far beyond mere benefit cuts. Responding to a distress call, the Doctor and his companion Flip land in a London whose pacified population has been driven largely underground. But the horrors down there in the dark are as nothing to the horrors that await them at ConCorp HQ, where a young biochemist in Sil’s employ is working on a permanent solution to the nation’s terminal unprofitability. Oh, that wacky Sil. 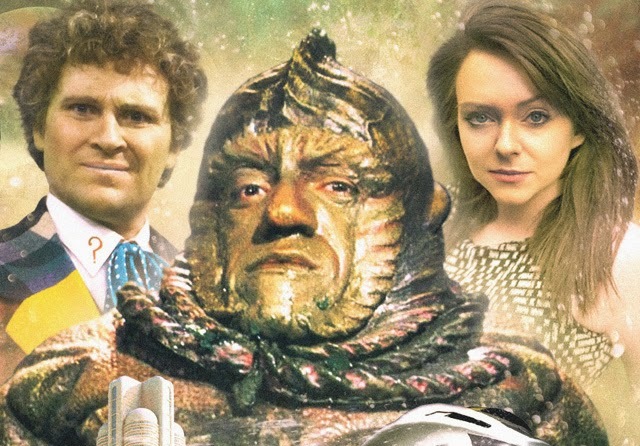 He’s been something of a fan-favorite ever since he turned up in “Vegeance on Varos” and then resurfaced during the “Trial of a Time Lord” arc. He’s a repulsive, greedy, cowardly, money-grubbing little thing, but he’s just absolutely fun on screen. Happily he is also very entertaining in audio form, voiced by Nabil Shaban, the same actor who played him on TV. Now I’ll be honest here. The story, originally released in January 2014, is a little weak, and a bit paint-by-numbers. It’s also a very 1980s story, which is as it should be. But that weakness in story is more than made up for by Shaban’s acting as Sil, combined with the always welcome Colin Baker’s acting as the Sixth Doctor. I’m also very happy to “see” the return of Lisa Greenwood as Flip, a character that we have heard too little of. I still haven’t really got much of a handle on her, but it’s nice to have her back. Can I recommend this story? Absolutely! Shaban’s acting alone makes it worth buying. But beyond that, it feels very much like an authentic Sixth Doctor story, and while that is both a strength and a weakness, it is still worth listening to.